Tenure: a six-letter word for security, which simultaneously strikes fear into the hearts of new and prospective assistant professors. But should it? The concept of tenure was originally proposed in part as a means to ensuring academic freedom while guaranteeing secure employment. Along with keeping your job for as long as you want it, this has generally been taken to mean employment at full pay. But does tenure still mean job security and full salary coverage, forever? Aren’t universities increasingly doing away with tenure? Does having tenure or the opportunity to get it really matter to your career? Rather than trying to distill the secrets to securing tenure, this article will discuss what kinds of models are currently offered in terms of tenure status and salary, and some questions to consider if you are newly on the job hunt for a faculty position. First, some basics, and a disclaimer: The information and commentary below focuses on full-time faculty positions at academic institutions in the United States. Academic ranks, career structures, and whether tenure or something equivalent even exists varies considerably between countries. Interested readers are encouraged to explore the European University Institute’s website for an excellent and growing summary of such information for Europe and beyond (1). Tenure, as most people think of it, is essentially a guaranteed ongoing employment contract at an academic institution, continuing in perpetuity. Unless, of course, your contract is terminated for cause (yes, you can still be fired! ), or if an extraordinary circumstance arises such as a fiscal crisis for the university. The criteria and expectations to be met to secure tenure differ between institutions and between types of positions (e.g., research-focused vs. educator tracks). There may even be nuances in expectations between different schools or colleges within an institution. Whether and how frequently your institution has an opportunity to reevaluate its commitment to you once you are tenured, in the form of post-tenure review, varies between institutions. Detailed information regarding tenure and post-tenure review can usually be found on the individual college or school’s webpage, or in the institution’s faculty handbook. Whether tenure also guarantees 100% of your full salary is a different matter. More will be said below on implications for salary, regardless of tenure status. The terms “tenure-track,” “tenure-eligible,” and “tenure-leading” all indicate that someone employed in such a position could one day apply for tenure. And the default expectation is that they will indeed apply. If tenure-track faculty do not apply for and are not granted tenure in a timely fashion (i.e., before the clock runs out), usually their contract will be terminated, and they will need to find another job. Typically, tenure-track faculty are expected to have amassed the appropriate research/scholarship, teaching, and “service” experiences, and to have achieved a level of productivity to warrant being tenured within approximately 5–7 years of their initial faculty appointment. This 5–7 years to prove why your institution should want to keep you around forever represents the time on your “tenure clock.” Often, people submit their application for tenure at the same time as their application for promotion to associate professor, although not always. At my institution, for example, you may apply for promotion and tenure at separate times; the two have overlapping but slightly different criteria. Some institutions reserve tenure for full professors only. If you are an assistant professor who is recruited by another institution as an associate professor, tenure might form part of the recruitment package but more likely won’t be granted straight away. In that case, you may be both eligible and expected to apply for tenure in a shorter period of time than if you had started there as an assistant professor (e.g., 3 years). At other institutions, tenure is not offered at all, regardless of rank. At institutions with an “up or out” promotion and tenure policy, if you do not successfully apply for and are not granted promotion and tenure by the end of the allotted period on your clock, your contract is not renewed. People hired at the associate professor level who don’t make tenure in their abbreviated time frame may also be let go. Such all-or-nothing scenarios can make that clock tick very loudly. But before you break into a cold sweat at the thought, ask your prospective employer some questions. Is there a hard-and-fast timeline, and, if so, in what year do you need to apply and succeed? Is there flexibility on this deadline at the discretion of your department chair? Does your institution use the classical 5- to 7-year clock or has it been extended to 10 years under the more challenging funding conditions of modern times? Will you even be hired on a tenure-track basis in the first place, or does this designation occur later? If you join the tenure track later, how does that affect how long you have before you must secure tenure? Career progress isn’t always smooth, and life can throw unexpected challenges your way. Ask whether your institution has a policy that allows you to “stop the clock” and be granted more time, if, for example, your career progress is interrupted by having a family, major illness, or other unexpected life events. A variation of this idea is to allow faculty to switch from tenure track to nontenure track, with the option of returning to the tenure track if the situation improves. Anecdotally, such offers tend to be made if funding is the main concern. If you ever find yourself considering this track-switching option, make sure you ask a lot of questions first. Just because it is theoretically possible to get back on the tenure track doesn’t mean that it is likely, and it could be easier to cut your salary and/or terminate your employment in the interim. Are there other consequences, such as loss of eligibility for intramural pilot grants or certain extramural awards if you go off the tenure track? Where would your salary coverage come from? How would your independence and general job duties be affected? What are the new expectations and what requirements must be met to restore your tenure eligibility? Okay, So What’s the Deal With Non-Tenure Track Positions? The defining characteristic of non-tenure-track faculty positions is that they explicitly do not come with the potential for a lifetime appointment. That isn’t to say that job security is necessarily poorer than for tenure-track positions. Indeed, non-tenure-track faculty may well enjoy more longevity in their positions than tenure-track faculty who don’t make tenure! Contracts may be for fixed terms or renewable indefinitely, provided that the need for the position and funds to support it remain available. This can mean very stable employment at institutions with consistent levels of student enrollment, healthy finances, and the like. Faculty positions at institutions that do not offer tenure are all non-tenure track by default, but different types of contracts may still exist within the same institution. Sometimes the opportunity for presumptive annual contract renewals or multi-year contracts follows a probationary period (e.g., 3 years). Advancement in rank can also be possible, provided you meet the relevant criteria set forth by your institution, although not all institutions allow this. Consult the faculty handbook, the fine print in your contract, and your department chair for details on expectations for contract renewal, procedures regarding non-renewal, and what level of due process you can expect. Frankly, this is prudent for faculty in tenure-track appointments too! At institutions employing both tenure- and non-tenure-track faculty, expectations and job duties assigned to the two tracks are often different. For example, non-tenure-track research faculty typically aren’t regarded as fully independent, won’t be offered a startup package or their own dedicated lab space, and may not be expected to teach. Rather, they often work with an established investigator, who usually provides at least some salary support. In contrast, tenure-track research faculty are expected to develop an independent, extramurally funded research program, as well as teach (the amount varies widely), as well as provide service to the university, peers, and the public. Whether non-tenure-track faculty are afforded the same level of autonomy and respect, and the same privileges as tenure-track faculty, or included to the same degree in department-level decision-making depends on concrete factors such as institutional policies and potentially more flexible factors such as departmental culture and management philosophy. As a faculty member rather than merely a staff member, some amount of service is typically expected, regardless of track. The amount may be minimal if you are research faculty exclusively paid for by a senior colleague’s grants. That being said, my service activities as a non-tenure-track research faculty member were not all that different in nature and scope to my current commitments as a tenure-track faculty member. Service opportunities abound, and where there is a willingness, someone will find a way to make use of you! How Common Is It to Have Tenure? Not as common as it used to be. Based on National Center for Education Statistics (3), of all degree-granting post-secondary institutions with a tenure system in the United States, there has been a gradual decline in the percentage of full-time faculty with tenure, from 56.2% in 1993–1994 to 47.3% in 2015–2016. According to the Association of Chairs of Departments of Physiology 2017 Survey Results (2), of a total number of 945 faculty, 64% were tenured, a further 17.5% were tenure-eligible, with an almost identical percentage who were not tenure-eligible. This hefty proportion of tenured or tenure-eligible faculty may reflect the top-heavy nature of the academic ranks represented: 74% were associate or full professors (or chairs). Although these numbers are relatively high, the picture will undoubtedly change as institutions reconsider their approach to tenure, and as current tenured faculty retire. Some institutions are doing away with tenure altogether for new faculty hires; it’s not just private or for-profit institutions that are doing this but state-funded institutions too. What is the Advantage of Having Tenure? In this brave new world of the gig economy, tenure may seem like a dusty relic of a distant past to many people. But it has its benefits. Tenure bestows a far higher level of security in your ongoing employment than what is offered in most other professions. For many in academia, there will always be a sense of achievement and prestige associated with being tenured. Once you have tenure, it can serve as a bargaining chip of sorts if you explore an employment offer at another institution. For teaching faculty, tenure allows you to try out new approaches without fear that negative student evaluations will impact your contract renewal. For most research-focused faculty, tenure isn’t prized so much for its implied freedom to express controversial ideas or to speak truth to power. Rather, the key advantage is that it buys you time to turn your funding fortunes around if your grants run out. This has undoubtedly been a boon to many mid-career and more senior scientists, but while your job might stay safe, your full salary might not. What proportion of the year does your contract cover? Is it 12 months, or does the institution guarantee somewhere in the 9- to 11-month range? If less than 12 months of salary is guaranteed, are you expected to provide the balance through extramural grant funding, if research is part of what you do? For educators on 9-month contracts, is there an option for you to participate in teaching over the summer to make up the difference, should you want to? Is 100% of your full salary guaranteed, or just some portion? If it is just a portion, is that a percentage or a fixed dollar amount? If it is a fixed dollar amount, is it the same for everyone or is it tiered by academic rank? Given your personal financial situation and the local cost of living, how comfortable would you feel about taking home only that fixed amount or only that percentage of your total salary? Seriously consider this question. Finances are tough in most academic environments, so dropping to that base at some point of your career is a very real possibility. One argument I have heard in favor of guaranteeing a fixed base amount and adding a flexible amount determined by extramural funding is that the total amount of money you are eligible to earn might be higher than if your salary was guaranteed but fixed. I should point out that the person putting this argument to me was a financial administrator rather than a scientist. Although a compensation plan including both fixed and variable components could be advantageous for very successful, often well-established investigators, would it be a good deal for you? And even if it is a good deal right now, will it still be a good deal if a current grant ended and it took a while to get the next one? If you are in a research-oriented position, what percentage of your salary are you expected to cover through extramural funding? Is that expectation put in writing in your contract, or is it more of a friendly guide to keeping the dean happy? In medical schools and tier 1 research universities, expectations of upwards of 50% salary coverage are common. That being said, you might be interested to learn that the Association of Chairs of Departments of Physiology 2017 Survey Results also indicated that, for reporting departments, on average only 34% of total faculty salary was derived from research grants (excluding fringe benefits cost) (2). Ask what the expectation is at your prospective institution and find out how rigorously it is enforced. Has this been a major factor in cases where faculty contracts were not renewed or people were not granted tenure? Be realistic about your chances for success in measuring up to the standard, whatever that might be. Less drastic consequences of not meeting extramural salary support targets could be an increase in teaching or clinical duties, or a pay cut, which brings me to our next point. Can the institution decrease your salary? There used to be a presumption that tenure meant you kept 100% of your salary no matter what. Rules are being written or rewritten to change this. Indeed, lawsuits have been brought over whether a tenured faculty member’s salary can be involuntarily reduced for not meeting external funding requirements (4). Institutions of several faculty I spoke to already have procedures in place to reduce salary if targets for salary coverage are not met, for both tenured and non-tenured faculty. Do ask prospective employers whether salary reductions could occur, and if so, how rapidly and by how much. How Secure is a Tenured Position, Really? Most tenured faculty I have spoken to actually don’t view their positions as fully secure, especially if there is a loss of grant funding. The thinking goes, you might be tenured, but your work situation may become untenable. Incentives for faculty to investigate employment opportunities elsewhere include salary cuts, taking away lab space, being moved into a smaller office, and increasing unenjoyable administrative assignments or teaching duties. Under-performing “deadwood” is an often-cited downside to allowing tenure at all, with the larger salaries of senior faculty gobbling up funds that could be used to support other initiatives or younger, hungrier (and cheaper) faculty. Many institutions do have a process of reevaluating tenured faculty, called post-tenure review. How frequently or rigorously post-tenure review is applied varies. It might be on the books, but seldom used. At least until now. This is an area that university administrators are increasingly looking to as a means to provide more flexibility in how they handle tenured faculty who do not meet expectations, whatever those expectations are. Dissolving a department or program can also allow your institution to divest itself of tenured faculty assigned to that department. Tenure might not really be forever. What About Losing Your Position if You Aren’t Tenured Yet, or Aren’t in a Tenure-Track Position? As much as no one wants to think about being let go, do educate yourself on the circumstances under which this might occur and find out what the timeline and process would be. Untenured tenure-track faculty may be on a fixed contract or yearly renewal that would allow for 12-months’ notice prior to termination. Employment contracts of faculty who are not tenure track may allow for a much more rapid severance process, especially if the funding supporting the position runs out (90 days’ notice at my institution). Other faculty might be on 9- or 12-month contracts that their institution may decline to renew without explanation, and with much less notice. Coming back to the “nicest” of these termination scenarios, having 12 months to find a new job is extraordinarily generous compared with most industries. However, if you are trying to find a new faculty position, this can be a slow process with limited openings and fierce competition. Depending on what time of year it is, there could be a long delay before a start date timed to coincide with the new academic year, or you might have missed the window to apply for positions commencing in the coming year. Community colleges running on quarter systems might offer shorter lead times on start dates. Of course, you could well use non-renewal of your academic contract as an opportunity to explore the world of possibilities outside the ivory tower! If Tenure Isn’t on the Table, What Should You be Thinking About? Several faculty indicated that factors such as how supportive the environment is are more important than tenure per se. If research is your primary focus, the ability to maintain funding for your lab is a far more practical concern than tenure in any case. Other practical concerns are the length of contract, expectations to be met for having it continued, and how much notice you will be given if the institution decides not to renew. If you are comparing similar offers from one institution that does offer tenure and another that doesn’t, are there any financial or other perks available to offset the lack of a possible lifetime appointment? With the demise of tenure at some institutions, and implementation of stricter post-tenure review policies at others, institutions will need to consider the challenges that these pose to recruitment and retention of faculty, at least for as long as tenure remains on the table elsewhere and is perceived as valuable. Best of luck to all faculty who are navigating this shifting landscape, now and into the future. I thank the many friends and colleagues out there in facultyland for sharing their insights and experiences with me during the writing of this article. Mangiarua EI, Lowy ME, Urban JH. Association of Chairs of Departments of Physiology 2017 survey results. The Physiologist 61: 175–185, 2018. Erika Boesen received her BS (Hons.) and PhD in physiology from Monash University, Australia, before moving to the then Medical College of Georgia in Augusta, GA in 2005 to continue her research career in renal physiology and pathophysiology. 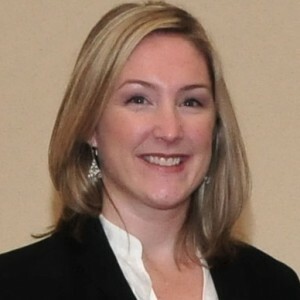 After completing her postdoctoral training and serving as a research faculty member for 4 years, Erika was recruited to the University of Nebraska Medical Center as a tenure-track assistant professor in 2012. Currently an associate professor, Erika enjoys the juggling act of research, teaching graduate and health professions students, and providing service within and outside her institution. 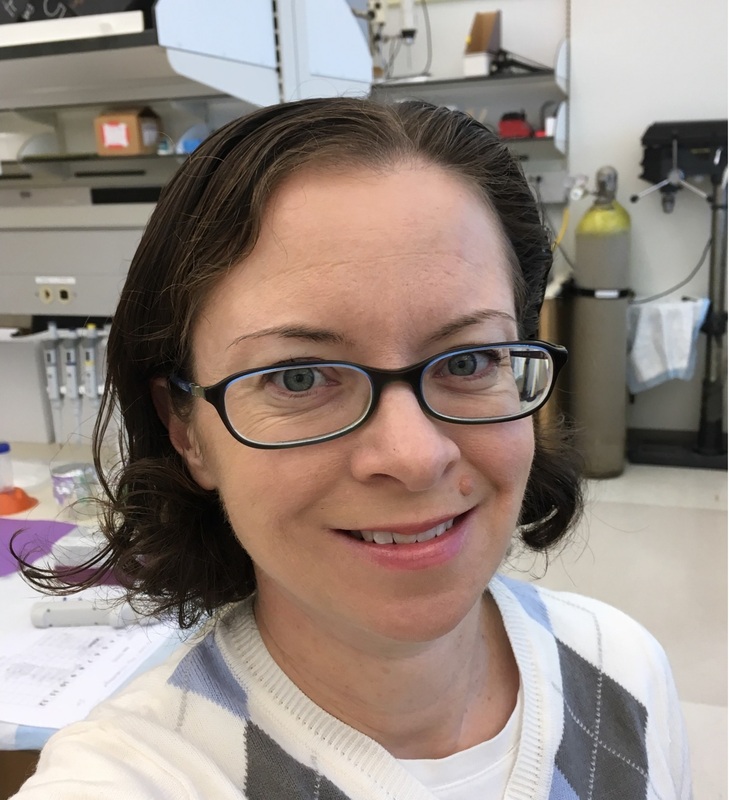 A past member of the American Physiological Society’s Career Opportunities in Physiology Committee, Erika is the current Renal Section representative on the Committee on Committees.